PRODUCT DESCRIPTION: Mikron's formulation features a particle size that is 100 times smaller than other emulsifiable products and thousands of times smaller than micro-encapsulated products giving it multiple application advantages. Mikron provides non-repellent, fast-acting, long-lasting control of bed bugs, ants, crickets and over 30 other pests, including pyrethroid-resistant insects. 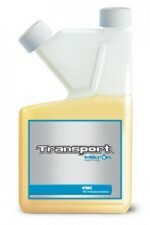 Transport Mikron is formulated with a powerful combination of two active ingredients: bifenthrin, the same trusted active ingredient found in Talstar insecticide along with acetamiprid for enhanced speed of kill. This one-two punch delivers lightning-fast control and enduring residual protection to even your toughest pest problems. TARGET PESTS: Ants (including Red Imported Fire Ants and Carpenter Ants) (but excluding Pharaoh and Argentine ants), Bed Bugs, Bees, Beetles, Biting Flies, Boxelder Bugs, Carpenter Bees, Centipedes, Chiggers, Clover Mites, Cockroaches, Crickets, Earwigs, Elm Leaf Beetles, Firebrats, Fleas, Flies, Gnats, Ground-nesting (solitary) bees and wasps, Midges, Millipedes, Mosquitoes, Moths, Pillbugs, Scorpions, Silverfish, Sowbugs, Spider Mites, Spiders (including Black Widow), Springtails, Stink Bugs, Termites, Ticks and Wasps. WHERE TO USE IT: Inside and outside the home including baseboards, bed frames, mattresses, carpeting, foundations, trees and more. RATE OF APPLICATION: Mix 1.25 oz per gallon of water for every 1000 sq/ft.